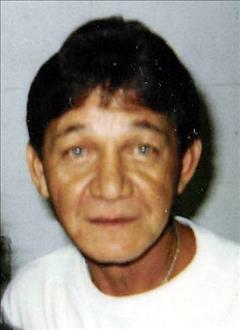 Dean Green, 64, resident of Henryetta, passed away Wednesday, March 13, in Henryetta. Dean was born April 5, 1954, to Charley E. Green and Juanita (Taber) Green. Dean married Janet Yardy on Aug. 14, 1971, in Henryetta. Dean retired from Anchor Glass in August of 2016 after 40 years. He was a member of the Sons of the American Legion. Dean is preceded in death by his wife Janet on Feb. 27, 2018; his parents, Charley and Juanita Green; a brother, Sonny Green; and brother-in-law, Norman “Nip” Rogers. Dean is survived by two daughters, Kara Lee of Okemah and Jennifer Turley and husband Brandon of Henryetta; six grandchildren, Kyler Lee of Shawnee, Tayler Lee of Okemah, Brayden Lee of Okemah, Kassidy lee of Okemah, Joleann Turley of Henryetta, and Reecie Turley of Henryetta; three sisters, Jeanette Feken of Moore, Paulette Roger of Henryetta, and Kay Berryhill of Broken Arrow; one brother, James “Buddy” Green and wife Sue of Henryetta; a nephew he thought of as a son, Norman Rogers of Minnesota; as well as a host of nieces, nephews, friends and other relatives. Memorial services were at 11 a.m. Tuesday, March 19, at Integrity Chapel where Rev. Bert Robinson officiated. Services are under the direction of Integrity Funeral Service.